Every cat taken in by fosterer Trish Colvin is in need of a little TLC to get them purring again. They may have been living on the streets left to scrounge for scraps or been abandoned by their previous owners. But whatever ordeal these moggies have been through they can be sure of a warm bed and plenty of fuss and attention at chez Trish. The Cats Protection volunteer helps them along the road to recovery by giving them temporary lodgings until a new home can be found for them. “I’ve always loved cats since I was a little girl. I love taking in a cat that’s had a tough time, bringing it back to full health so that it’s happy again and can go on to a good home,” she tells Weekend. Trish has been involved with feline welfare charity Cats Protection, which helps around 190,000 cats and kittens per year, since 2006. 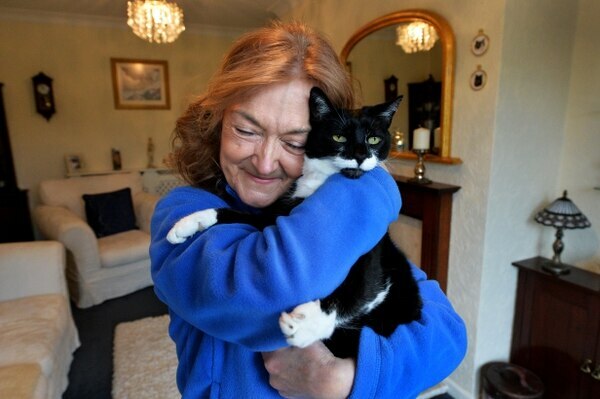 She started as a volunteer before becoming a paid member of staff at its adoption centre in Hollywood, Birmingham where more than 1,000 cats are rehomed every year. After retiring Trish, who lives in Stourport, got in touch with the charity’s Dudley, Stourbridge and Wyre Forest branch – one of 250 volunteer-run group across the country – because it was looking for extra pairs of hands and she became a cat fosterer in 2010. 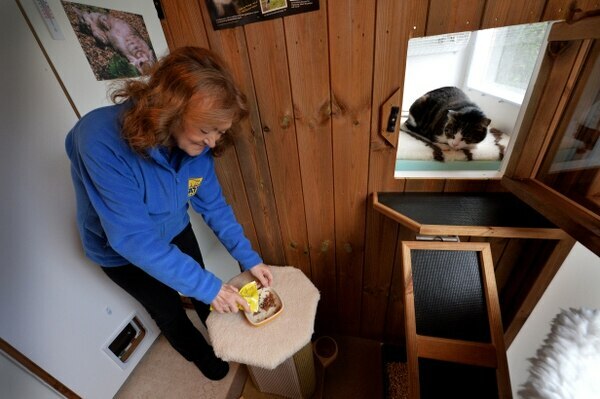 In her garden is a specially-designed and fully-insulated and heated cat house which allows her feline guests to live a life of luxury with soft beds, toys and scratching posts as well as plenty of room to wander around. Everything they need is provided by the charity with Trish responsible for ensuring they are fed, watered and given any medicine they require as well as the obligatory cuddles. Due to the charity’s rules, the foster moggies have to be kept separate from her own cat to reduce the spread of any infection and can’t go outside during their stay. 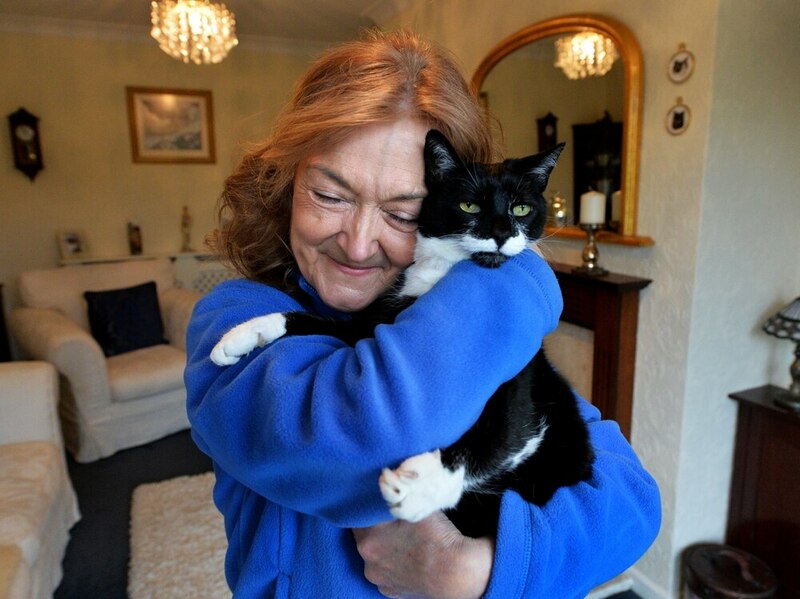 At the moment Trish, who also carries out home visits for potential new owners, is caring for 11-year-old tabby and white cat Pebbles who has been with her for three months. “He was straying near some flats in Kidderminster. Someone saw him and felt sorry for him so they took him to the vets. “They found a microchip, which showed that his owner lives in Evesham. But the numbers on file didn’t work. We don’t know how he ended up in Kidderminster. He might have wandered off or he might have been dumped. “He is a super affectionate, playful boy, once he gets to know you. He would be a fantastic companion for someone. He’s a gorgeous gentleman,” adds Trish. She has a soft spot for the older cats which the charity finds harder to rehome and because of this adopted 13-year-old Bonnie in September. The unlucky moggie, who has deformed feet and spondylosis, has been through a rough time having lost all her teeth to gingivitis and been shot with an air gun. “I just didn’t think anybody would want her but she’s a lovely cat and very playful. I’ve always loved the older cats. It’s frustrating because most people want kittens but it’s only a kitten for a few weeks then it’s an adult. “I wish people would give older cats more of a chance. 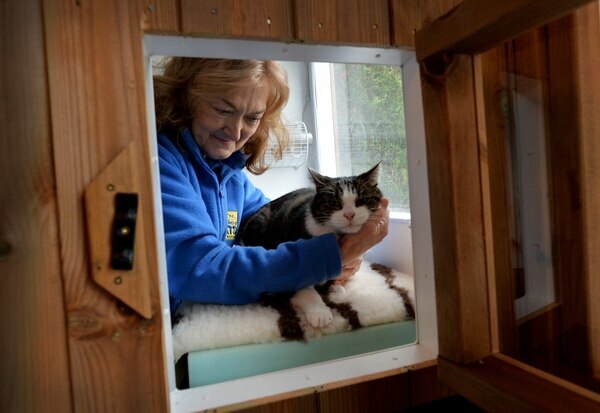 If they are treated well they can live to a ripe old age,” says Trish, who has fostered around 80 to 90 cats at home. “The other thing with older cats is often they end up with us because their owner has died or moved into a care home. They’ve had a home all of their life and now they are here. They don’t know what’s happening to them,” she adds. As well as elderly moggies, the charity also finds it hard to rehome black cats and also black and white ones as some people associate them with bad luck. As part of her role as foster mother, she is able to name any cats that don’t already have one when they arrive with the charity. 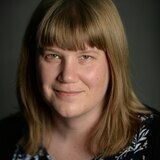 “I like to name the black and white ones something a bit different so they stand out on our website. I’ve had a Heathcliff and a Mr Darcy,” explains Trish. It’s a job that does tug on the heartstrings especially when cats arrive in a poor condition due to neglect or illness or when Trish has to say goodbye to her temporary pets. “I always worry about them even when I know they have gone to a good home. I’ve also had a few rehomings that have gone wrong. I thought a cat was going to a good home but they were later found 10 miles away where they had been living in a field for four months. I contacted the lady who had adopted her and she said ‘I don’t have a cat’. We think the cat had been dumped,” she tells us. “Rescue cats are the best – they are always very grateful. There are so many cats out there needing homes. I’m biased but I think it’s better to give a rescue cat a home than get a kitten from a breeder who is purposefully adding to the cat population,” says Trish.